Produced by the Maryland Office of Tourism Destination Maryland is an inspirational travel guide that combines stunning photography and stories written by Maryland writers. This year’s edition features adventures to be had all around the Chesapeake Bay region, as well as in Western Maryland’s mountains, a guide to Maryland craft beverages, road trip suggestions along our 18 scenic byways, a guide to Maryland water experiences, amusement parks, restaurants and more. “As Marylanders, we want to share our state’s beauty, fun places to go and great people to meet,” said Liz Fitzsimmons, Managing Director for Tourism, Film and the Arts. “The hardest part of producing a project like this is trying to limit our selections to just 148 pages. 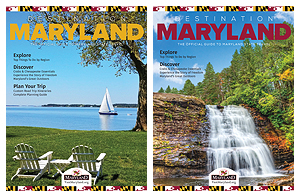 We invite residents and visitors alike to see for themselves what an amazing time they can have in Maryland.” Destination Maryland is available for free at Maryland Welcome Centers, and can be ordered at VisitMaryland.org. With a staff of dedicated tourism professionals working to grow and improve Maryland tourism, OTD can be an invaluable asset to you and your organization. Are you getting all you can from OTD? Thousands of users visit the OTD calendar of events each month, and listings are free. Download the PDF to guide you through our easy user submission process here. 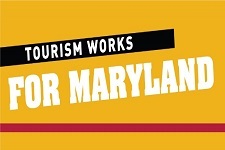 Have you listed your business or attraction on VisitMaryland.org and is your listing up to date? Contact Casey Keyfauver at casey.keyfauver@maryland.gov or by phone at 410-767-6296 to make the most of your listing. And download our handy "How You Can Market With the Maryland Office of Tourism" checklist here to make sure you’ve done all you can to maximize your relationship with OTD and our ability to amplify your marketing messaging. 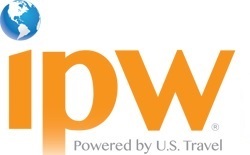 IPW, the U.S. Travel Association’s leading international travel show, will be held in Anaheim, CA, June 1-5, and this is your last chance to join as an OTD booth partner. OTD brings influential travel and media buyers from more than 70 countries together, and drives $4.7 billion in travel revenue to the United States. By joining as an OTD booth partner, you can secure a highly visible spot at this influential show. For more information, contact Rich Gilbert at rgilbert@visitmaryland.org. While the Civil War Trails program interprets the past, it is committed to a bright and sustainable future. In pursuit of that goal, every product that Trails produces is now recyclable. The innovative printing process enables old acrylics to be recycled back into new sheeting. The engineering of proprietary pedestals allows them to be reused and extend the life of existing infrastructure. 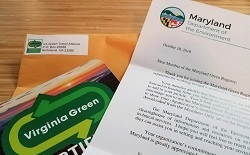 Trails has been recognized by both the Maryland Green Registry and Virginia Green Tourism for these efforts and innovations.